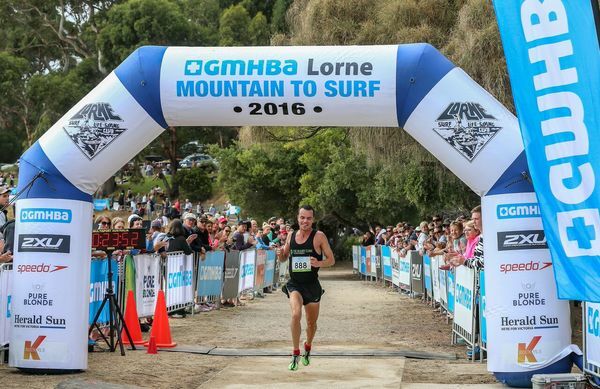 OCEAN Grove based gun middle distance runner Nick Wightman took out the prestigious Mountain to Surf 8km event on Friday 8 January. The 31-year-old’s maiden win at Lorne followed his victory in the 10km Rip to River Classic, a race he has won five times from Point Lonsdale lighthouse to Ocean Grove Surf Life Saving Club on 2 January. Wightman won the 8km race in a time of 23:48, less than a minute outside the race record held by Steve Moneghetti from 2006, 22:52. 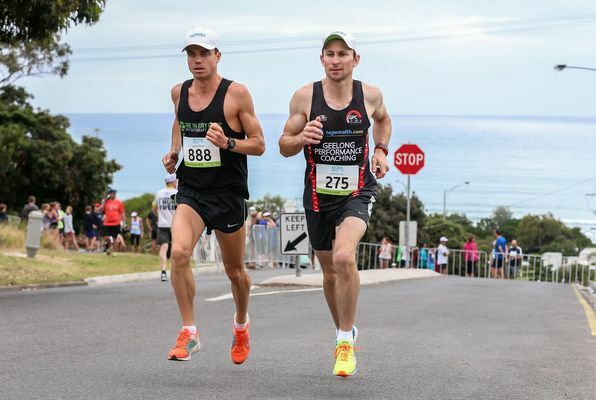 “The Mountain to Surf I really wanted to win this year because it is one of the fun runs I had not won before – it sort of suits me that kind of run because I do a lot of cross country and mountain running,” Wightman said. FELLOW Ocean Grove local James Dalton claimed a personal best fourth place to finish in 25:12 in the 8km Mountain to Surf. “I was pretty surprised with the result,” Dalton told the Voice. FEDERAL Member for Corangamite Sarah Henderson also competed in the Mountain to Surf 8km race. IN the annual Pier to Pub swim held at Lorne on Saturday 9 January, a total of 41 Ocean Grove locals competed Some of the highlights included Ocean Grove’s Mark Graham second-place finish in the Senior Male category in 12:13 in the 1.2km event. FORMER Ocean Grove SLSC competitor Harriet Brown won her fifth Pier to Pub 1.2km crown in the Open Female category in a time of 10:51. In the Open Male category event won by six-time Pier to Pub winner Sam Sheppard in 10:02, Graham backed up with a highly credible 16th place to finish in 11:42. IN the Veteran Male category Ocean Grove locals Robin Asher and Mark Stone finished fifth and eighth respectively. BOTH Mountain to Surf run and Pier to Pub swim events attracted nearly 6000 competitors across two days.